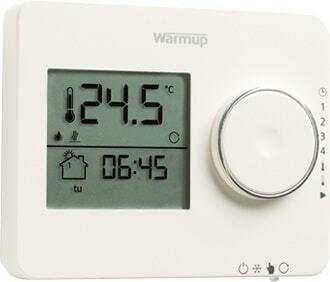 Simply program your heating control settings to suit individual requirements. Avoid wasting energy and achieve savings on utility bills. Its Proportional Adaptive Function learns the time it takes to warm the room and activates the heating early so it is up to the right temperature when needed. The Tempo’s Proportional Adaptive Function learns the time it takes to warm the room and activates the heating early so it is up to the right temperature when needed.